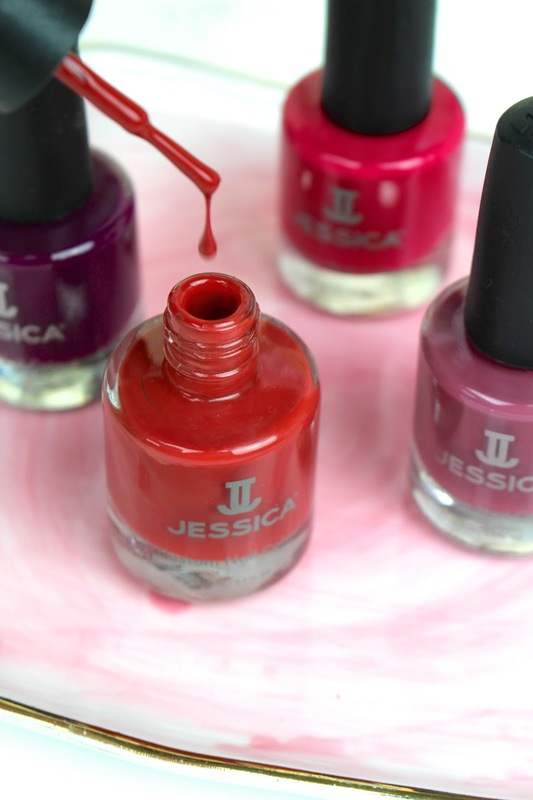 Jessica Nails have long been one of my favourite nail brands, having discovered their incomparable Top Priority Top Coat a few years ago and never looking back! Speaking of which, to achieve this high-gloss outcome, I'd recommend applying two layers of polish before going crazy with the top coat. Because who doesn't adore that dig-your-nails-in shine?! You need to be a hand model! Love all of these colors! Oh Snake Pit looks amazing!! You can tell they're a great polish just by looking at that photo! These shades are so pretty! Snake Pit is SUCH a gorgeous autumn colour! I don't do my nails that often, but I'd love to have that colour on my nails. Jessica Nail's A/W 16 collection is gorgeous! These nail polish sounds amazing and I've long envied your nails, Gabrielle! I still have no idea how you manned to type with those long nails though, I get really annoyed with mine. LOL! These shades are gorgeous! Your hands look perfect!! I´m crazy for nail polish and I love those colors!! Thanks for sharing! Kiss kiss and Happy Sunday! I love all these colors! Your nails are amazing and so shiny!! Thanks for sharing! Oh no, I feel my nail varnish collection is about to get a bit bigger! It tends to be only autumn that I paint my nails so I'm ready and raring to go. I love berry tones normally but these shades are beautiful, a really great range and I'd agree that snake pit is beautiful! I usually don't polish my nails but I can see that these products are stunning for it. What a beautiful manicure! As I was reading the names of nail-polishes, I was struck with how attractive they all were...but among all those names I was more curious about Snake Pit. Such a treat you have selected that one to show to us. It is a beautiful shade indeed, very unique, quite unlike to any that I have seen lately. I'm also digging the shine, I guess that a good overcoat is worth the while, right! The other shades also got me interested....I'm sure I would like Tangled in Secrets because really I believe one can never go wrong with a red manicure...never! Luring Beauty and Mysterious Echoes also seem like the kind of nail-polishes I would like. Gorgeous shades all of them. This Into Wild collection is absolutely fabulous!!!! You do a WAY better job with your nails than I ever do. I'm quite impressed! These shades are all absolutely gorgeous and perfect for this time of year, especially that Snake Pit shade! I completely get it! Once you find the ONE you don't want to look back! I haven't heard of this brand before! Going to see if I can purchase this in Greece! These are gorgeous colors! Snake Pit looks like a dream! What a gorgeous collection of shades! Looks like you are have a nice rotation of nail polishes to get your through Autumn Gabrielle! Snake Pit is lovely on you! This is really gorgeous wow! I love the colours. Wow nail paints are my favorites ! such a beautiful color, especially black, so cool nail polish! You are wearing a beautiful color, and you ve got beautiful nails! Beautiful colours! hmm I think it is time to retire my bright orange. 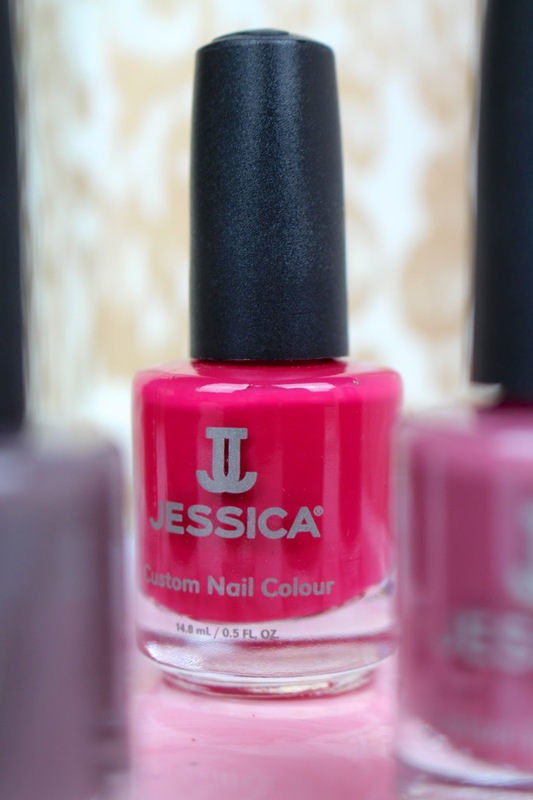 I have never tried Jessica Nails but Fruit of Temptation is proving....tempting! ha! I always love your pictures-good to note that this polish i a keeper! These shades are so pretty, especially the bright pink fuchsia one. Wow, I love the nail colour you are wearing. It really suits your skin tone…and that name sounds intriguing. How pretty are those colours... I specially like the first one. :) Amazing! These shades of nail polish are so pretty!! I'm actually going out to buy nail polish tonight after work so I'll have to keep an eye out for these! Your nails are always so beautiful, long, and healthy! I LOVE, LOVE, LOVE that shade your'e wearing, it's such a perfect color for the season, as are the other shades; I love all the names! 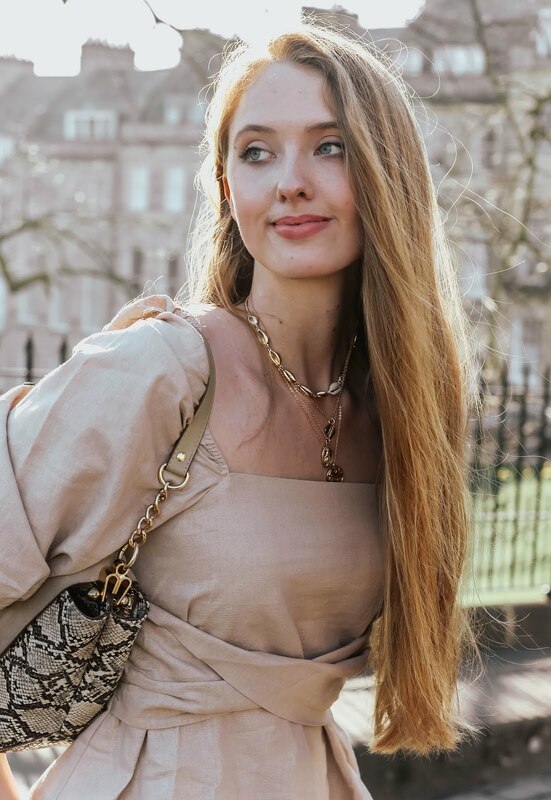 Thanks so much for sharing, gorgeous girlie, and I hope you're having the most amazing start to your week so far! Wow, fabulous colours! Your nails look gorgeous. Gorgeous colours. I'd definitely need to try them. I really like that snake pit color too! It's kind of unexpected but it fits so well with the season. The plum is also calling my name! Speaking of names, the names are really intriguing. Makes me want to see what they name other colors too. Snake Pit is so beautiful on your nails! Those darker colours are usually what I tend to gravitate towards to in the cooler seasons too! These colors are so pretty! Mine is a bit of dark brown at the moment! Love your shade too babe! you have got beautiful hands gabrielle! i think i have told u this many times before but can't help everytime i see them. the nail colours look great for autumn.